If your residential property, be it a house or a flat, is located in or near London, consider using our domestic cleaning services. We cover a few London districts and offer fascinating results. 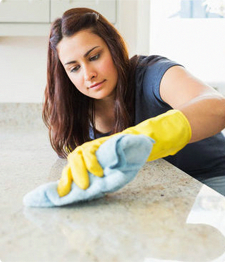 Our service is timely, cost-effective and very efficient against dirt and grime of any kind. Our job is to make every home sparkling and we have done great on this account so far. We believe our former customers will confirm how well we cope when it comes to domestic cleaning. We encourage you to try our service. We offer convenient work schedule and competitive prices, so don’t miss the opportunity to have your household responsibilities tackled by a real professional in this business. Call us. Instead of hiring ordinary maids to tackle tidying, washing and hoovering on a regular basis, use our professional cleaners, whom you can trust completely. They are insured and background-checked so you can rest assured your home is safe when they are around. As long as you use our domestic cleaning service, you can expect us to de-clutter your place, dump dirty clothes in the laundry basket, load the washing machine and run a complete cycle, wash the dishes or turn the dishwasher on, sweep and mop the floors, make your bed, vacuum every room including furniture, clean your toilet and bathroom, wipe down all surfaces, wash sinks, dust every room, remove rubbish, etc. Apart from this we can help you iron your clothes. Why not leave all the household chores in the hands of our qualified professional cleaners who know better how to clean every area of your home? They have everything necessary to perform these tasks, from knowledge and experience to skills, certificates and insurances. Rest assured that your home hygiene is handled by experts. We come on time, have a discussion with our clients and do the cleaning. You can book a service in two ways: using our e-mail address or our contact number. If you need a faster response, we recommend you give us a call so you can talk to our consultants in person. Our service centre is at your disposal 24/7 for your convenience. We will be expecting your call, so be sure to contact us as soon as you can.